This doesn’t really come as a surprise to me, but still sad to see a local business close. Bicycle Stations, formerly at 14/W, closed on December 31st. 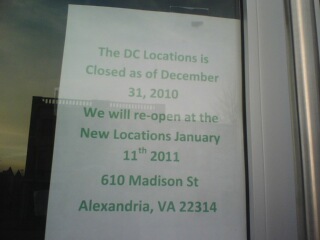 They will be opening a new location in Alexandria next week. 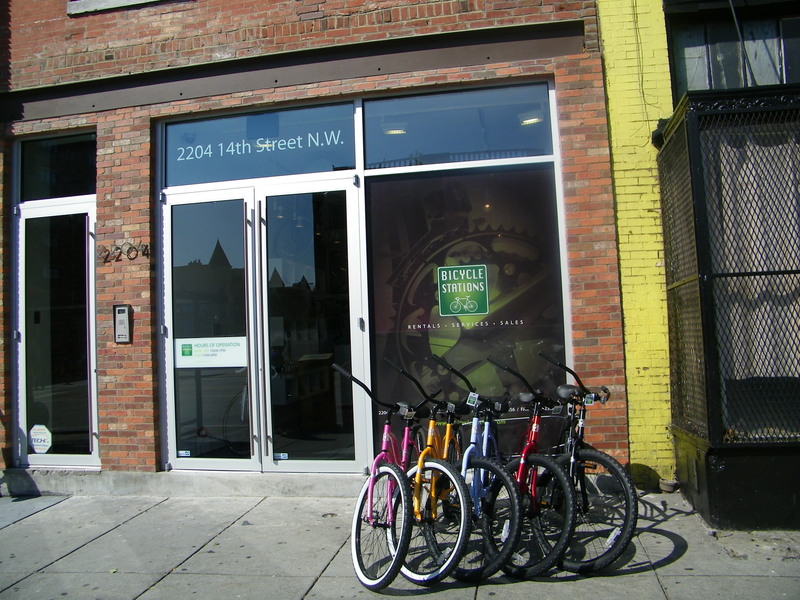 Bicycle Stations opened in the location on 14th street September 2009. We’ll have to keep an eye on what might open there next. Ever heard of the club owned by “the Al Capone of DC” on 14th and W? Club Madre, owned by Odessa Madre, was a popular nightclub where Moms Mabley, Count Basie, and Nat King Cole played in the 1940s. Now, after years of being empty, 2204 14th street houses Bicycle Stations. The story here really isn’t Club Madre, but rather the Madre herself. 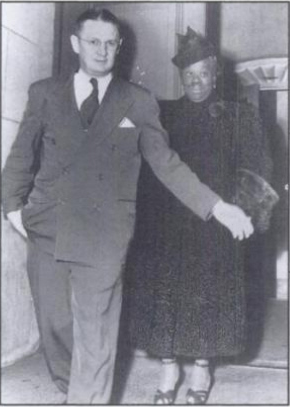 She ran a bookmaking operation, was the madam of multiple brothels, trafficked narcotics, sold bootleg liquor, and had her fingers in other organized crime ventures. In her prime in the 1940s, she made $100,000 a year. The legend goes that at every party she threw, she set out a number of bowls of cocaine, heroin, and marijuana for her guests. She often made an entrance to a party or club dressed in fur and diamonds from head to toe, surrounded by her call girls. Many believed she was a lesbian. She had the MPD so under her thumb, one story says, that when two officers refused to take a bribe from Odessa, they were demoted and reassigned. Of course, she was arrested often. By 1980, Madre had been arrested up to 30 times on 57 charges over 48 years, seven of them spent in a federal prison. To celebrate one time when she got out of prison, she bought a Cadillac, another a Lincoln Continental. Madre died in 1990 at the age of 83 of kidney failure. She had been very generous to the area’s poor and spent nearly all the money she had, leaving her penniless at her death. Her friends could only scrape together $51 for her funeral. A feature in which I look back at the history of buildings in the U street area. The now named bike selling/rental/repair store, Bicyle Stations (website under construction) that will open at 14th and W looks like it is close to opening. When I walked by yesterday morning, I saw bikes in the store along with boxes and other soon to be opened-type stuff. Prince of Petworth has more information about the business plans, they will open other stores on P street in Dupont and in Old Town Alexandria. PoP also has more information about rental costs, which commenters are already calling steep: $65 a day, but it’s a $1000 bike and there will be a conceirge service that will drop/pick up the bike wherever you’d like. I’m not much of a bike rider (though I’d like to be more of one, if I weren’t such a scaredy cat when it came to biking in the city) but yeah, as someone pointed out this is as much as you could pay to rent a car for the day. Blogger note: I was going to go take a picture of the storefront for this post but then it was cold and rainy and sitting on the couch in sweats sounded like a better idea. Apologies.